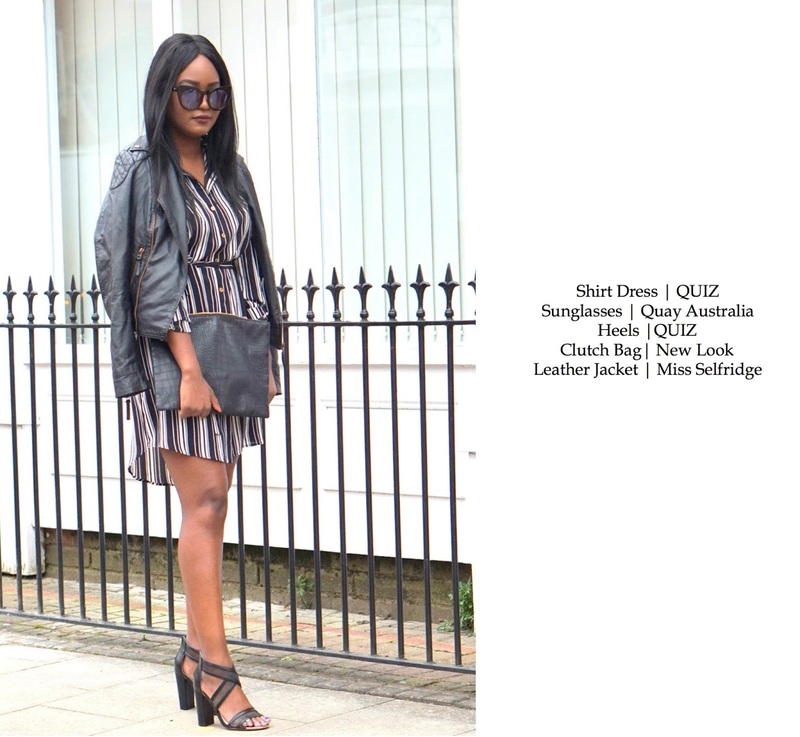 I've teamed up with Quiz to give you a little glimpse of their new in section on their site. 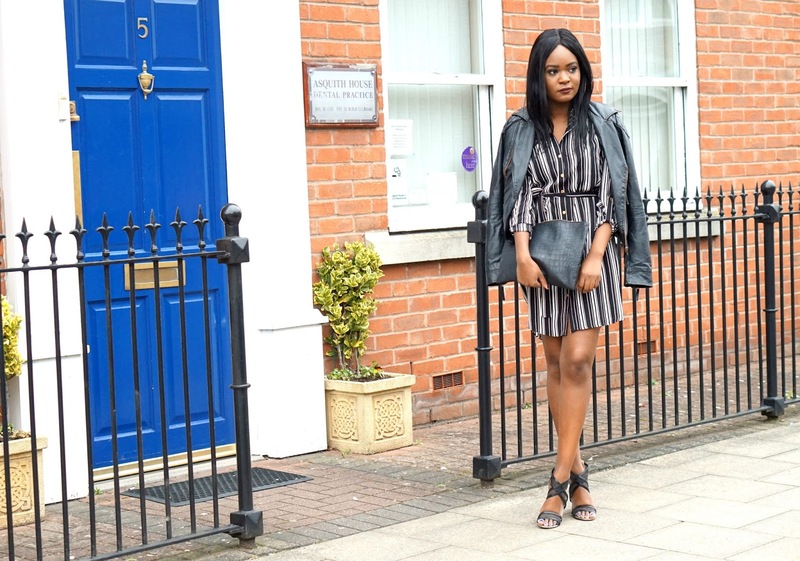 They have done a great job to get us all up to date on trends for the upcoming SS16 season. 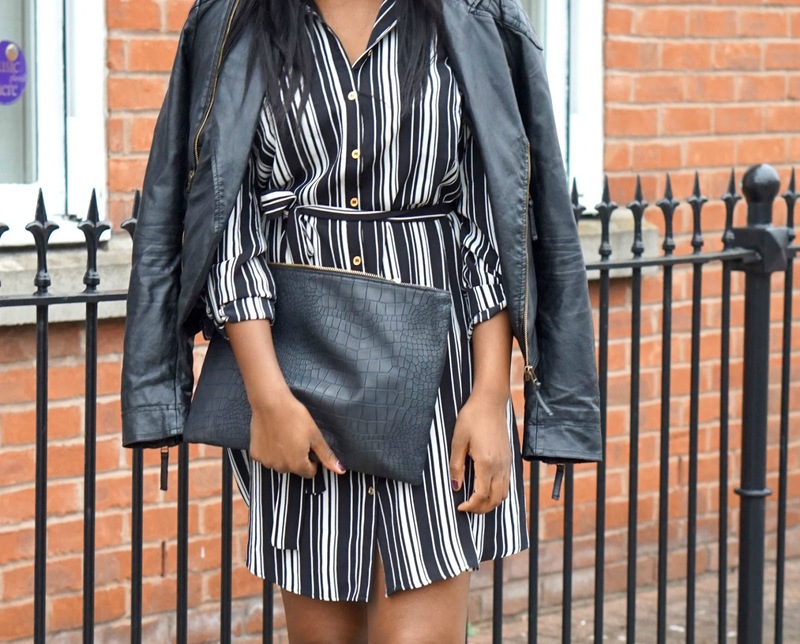 As spring is usually a lot warmer I went for a light shirt dress that I absolutely love, mainly because it's got that oversized look that I usually go for with most of my style choices. The dress is also great because the back is slightly longer than the front, so you can wear the dress and bend down as low as you would like without exposing yourself. I paired the dress with these lovely block heels that are fab! They allow you to have them on all day long without being painful, as the block heel makes them uber comfy and the fact that the heels aren't too high makes them easy to walk in. The mesh cross detailed front on the heels was one of the main things that made me go for them, it was just too unique and statement making to ignore. I also wore my fave go-to leather jacket, a simple clutch bag and gorgeous Quay Australia sunnies. As you may have guessed from the post title, but this post is part one of my collab with Quiz. Not to sound stereotypical or anything, but this is 'to be continued...' I may have one or two posts in between before I post part II of this, but it definitely will be continued on DW soon.